On this page you can consult informations about distances and roadmaps from Proserpine Airport to major cities and places in Australia. Located in Proserpine, Reef Gardens Motel offers an outdoor swimming pool. Featuring barbecue facilities, the 3-star motel has air-conditioned rooms with free WiFi, each with a private bathroom. Staff on site can arrange airport transfers. This hotel is 10.57 km from city center. 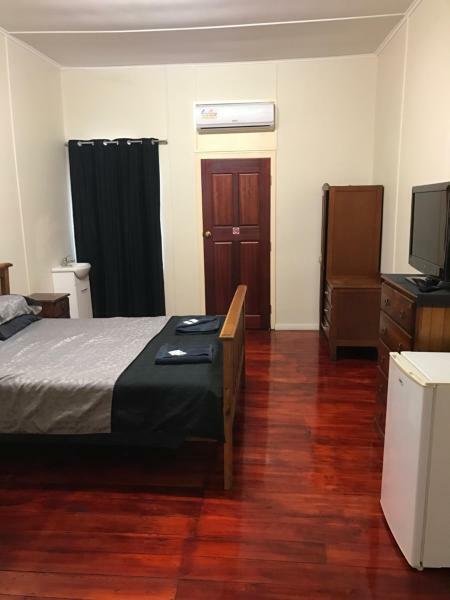 Proserpine Motel offers air-conditioned rooms in Proserpine. The motel provides garden views and a barbecue. At the motel, rooms are fitted with a patio. Rooms come with a private bathroom with a shower. The rooms feature a desk. This hotel is 10.76 km from city center. Featuring an outdoor swimming pool, A & A Motel is situated on the Bruce Highway, just 2 minutes’ walk from Proserpine town centre. All rooms are air-conditioned and include free Wi-Fi. Free undercover parking is available. This hotel is 10.89 km from city center. The Prince of Wales offers accommodation in Proserpine. Guests can enjoy the on-site restaurant. Every room is fitted with a flat-screen TV and air-conditioning. Guests enjoy access to shared bathroom facilities. This hotel is 10.85 km from city center.